Lack of a satisfactory animal model for Alzheimer’s disease (AD) has limited the reach progress of the pathogenesis of the disease and of therapeutic agents aiming to important pathophysiological points. 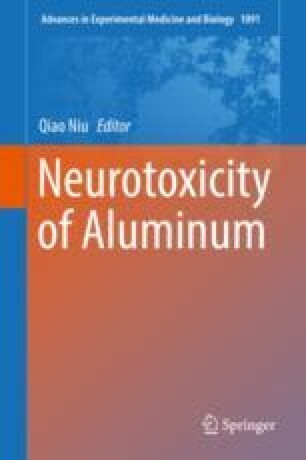 In this chapter, we analyzed the research status of animal model of aluminum-induced Alzheimer’s disease. Compared with other animal models, Al-maltolate-treated aged rabbits is a more reliable and efficient system in sharing a common mechanism with the development of neurodegeneration in Alzheimer’s disease.